Teclast F7 Plus Notebook/Ultrabook is made from a combination of aluminum and metal material thereby making it extremely lightweight device (1.5 kg) which you can comfortably carry anywhere. The device will be known for its sleek design and it has got the thickness of as low as 7mm. 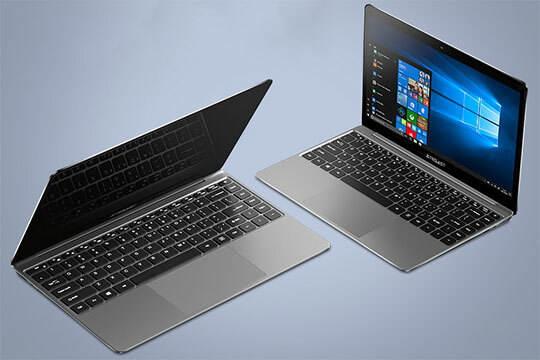 The notebook has got 14 inch IPS screen which has got a 1920 x 1080 resolution. Teclast F7 Plus Ultrabook will be known for its 6mm narrow bezel, 2.5D arc and large backlit keyboard which you may have not seen before. It looks extremely modern with its metallic body and compact design. Recommended for you: Kospet Hope Smartwatch Phone Full Review after Using for 7 Days. Teclast F7 Plus Notebook/Ultrabook comes with 8GB of RAM and 8th generation Intel Gemini Lake processor. What it means that you can use it for the multitasking purpose. It features a storage capacity of 128GB that can conveniently store your important media files and work-related documents. The notebook will be recognized for its high performance as it can run a wide range of games and high graphics applications without any interruption. The latest operating system of Windows 10 OS plays a vital role to enhance the performance of this device as you get extremely smooth user experience while operating this device. This powerful configuration boosts the efficiency of this Ultrabook by more than 30% thereby making it the highly competent device of today’s time. High performance means it is suitable for users of all categories who are interested to play games and run heavy applications on this device. Teclast F7 Plus Notebook/Ultrabook is equipped with Intel Gemini Lake N4100 Quad Core that gives it an optimum efficiency. It also brags about Intel UHD Graphics 600 GPU that offers amazing image quality and exceptional photo editing capability for users. 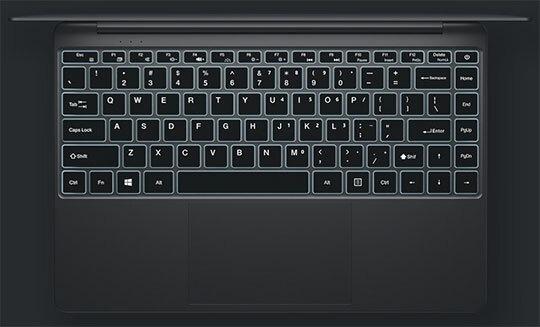 The illuminated keyboard of this Ultrabook lets the user type with high activity space. You don’t need to worry about poor light conditions and get your job done smoothly. The built-in battery of 6500mAh makes sure you can finish your all-important tasks in the span of 8 hours. If you are planning to take it for a business conference then you may have to use battery back-up smartly as 6500mAH of the battery may not keep this device running for extended working sessions. 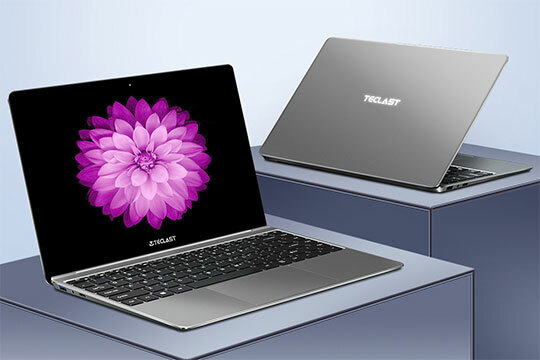 Apart from common features, Teclast F7 Plus Notebook/Ultrabook boasts about its extraordinary functionality that you will not find in other laptops of the modern generation. If you love chatting with your friends then 2.0MP camera of this device will let you perform face to face chatting without any technical trouble. It is sufficient enough to perform video calling and other basic functionality you want to execute. 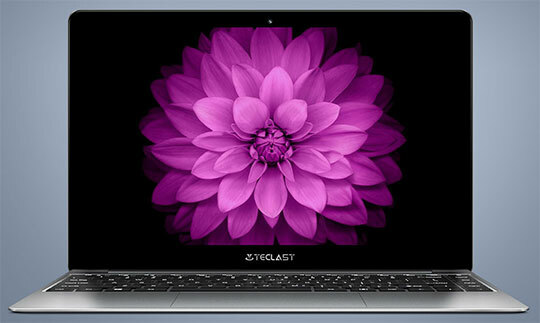 Teclast F7 Plus Notebook/Ultrabook also features HDMI output that lets you to easily connect this device to projector or HD monitor to get a larger view of videos or images. The notebook is equipped with the headphone jack of 3mm and it also comes with Bluetooth connectivity. With a size of 13.03 x 8.66 x 0.59 inches, you can figure out that Teclast F7 Plus Notebook is an extremely compact and portable device. The Ultrabook also features 4 built-in speakers and you can enjoy listening to your media files with great sound quality. 128 GB of memory storage is available with this device and you can always consider using an external hard disk to extend your storage capacity. You may also like: Vivo NEX Dual Screen / Dual Display Smartphone Feature Review. Without any doubt, Teclast F7 Plus Notebook / Ultrabook is an ideal device for professional as well as daily use. This laptop has got amazing input peripherals which are hard to compete in today’s time. The credit goes to its designer’s and the developer’s who have really pushed their limits to craft such an innovative product. An affordable price of around $360 will put this device right on top to easily beat other laptops that fall in the similar price bracket. Without any doubt, Teclast F7 Plus Notebook / Ultrabook is an ideal device for professional as well as daily use. An affordable price of around $360 will put this device right on top to easily beat other laptops that fall in the similar price bracket.